We are Connecticut's premier energy audit, insulation and solar contractor. A division of R. Pelton Builders, EcoSmart Home Services provides energy saving home improvements through the Connecticut Energy Efficiency Fund's Home Performance with Energy Star Program, an innovative and highly popular program that allows homeowners to take advantage of an average of $1100 worth of energy saving improvements for just a $124 co-pay. You read that right: just $124 gets you $1100 worth of energy saving home improvements - each of which will continue to save your family money every year, while making your home safer, healthier, more comfortable and more affordable to maintain. The Sun Energy Group system provides New York solar panel and long island solar energy at really affordable prices. You may contact to install your solar panel in your home at any point of time and save your electricity bills and utilize the real power of sun energy. Call @ (631) 363-7491. The Sun Energy Group system provides Long Island solar panel and long island solar energy at really affordable prices. Call @ (631) 363-7491. 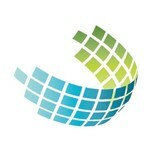 Earthlight Technologies is your local solar company most admired for its people, partnership and performance. We offer turn-key solar and energy solutions to residents and businesses. Based in Lehi, Utah, Vivint Solar is the second largest residential solar provider in the United States. The company has been designing, installing, and maintaining residential solar energy systems since 2011. Depending on the state in which they live, customers have the option to lease, finance, purchase, or choose a PPA, but all systems come with workmanship and manufacturer’s warranties. In 2017, Vivint Solar began installing residential batteries and EV charging stations in select markets. Although the company was born from a passion for clean energy production, it has also become an ardent proponent of smart energy consumption. Advocating for both practices led Vivint Solar to pioneer the concept of Fully Integrated Solar, which combines solar panels, battery storage, efficient EV charging, and smarthome technology for optimal efficiency. Residential remodeling in Fairfield County, CT for over 25 years. Energy by Choice is a full-service Long Island company that designs and installs solar energy systems, including solar electric, solar hot water, and solar pool heating systems for homes and businesses in Nassau County and Suffolk County, NY. We are expert solar panel installers who specialize in the design and installation of turn-key home solar and commercial solar systems. We also design and install wind turbines and solar thermal systems for home or commercial applications. Whether it is a solar array (photovoltaic, aka PV), a solar hot water heater or a wind turbine system, our team of professionals can help you determine the solution that works best for you. Clean energy production is at the heart of what we do, but we are also careful to balance the other factors that are important to customers, such as aesthetics. Level Solar is a top-rated Long Island solar installer and energy provider. 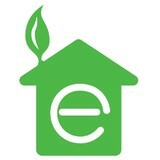 We help Long Island homeowners save money on their electricity with no upfront cost. We put customers first and strive to provide a world-class customer experience. Level Solar serves customers in Nassau and Suffolk county in Long Island, with offices in Ronkonkoma and Hicksville. We serve customers all the way from Hempstead and Valley Stream to the Hamptons and Montauk. We started the business on Long Island, and are proud to continue our record of excellent customer service in Nassau and Suffolk counties. Through Level Solar’s program you can save $300-$500 or more each year on your electricity. Long Island residents also can receive a $5,000 tax credit from New York State! Here’s how the program works: 1) Level Solar installs solar panels on your roof at $0 upfront cost, 2) These solar panels produce 100% clean electricity 3) Level Solar provides this solar energy to you for up to 20% less than you currently pay 4) You save immediately. In addition, Long Island residents can receive a New York State tax credit up to $5,000! Level Solar helps you lower your electric bill and dramatically reduce your environmental impact. Now is the time to take advantage of renewable energy resources. New technologyand the Local , State and Federal incentives now make it less expensive then ever before. There are many things that set us apart from other firms in the industry, RH Innovation takes the time to consult with you on the affordability of these systems and the huge incentives that are available. After our on-sight consultation, RH Innovation will design a personalized system using the latest in micro-inverter and PV panels to give you the most efficient, greatest output and quickest payback for your money. We are Long Island's most trusted and experienced solar energy experts we have been designing, installing and servicing solar projects across Long Island and the Tri-state area since 1982, making us the areas longest standing solar energy company. We specialize in both residential and commercial solar electric, solar pool heating and solar thermal systems. We provide unmatched quality workmanship and the knowledge to satisfy any and all of your solar energy wants and needs. Save some green and go green today! And request your always free quote! Let’s say you want a solar electric system for your home. An off-grid system basically consists of solar panels and battery banks. These battery banks store the sun’s energy so you can use electricity at night or on a cloudy day. This system is designed to keep household electricity running for about two or three cloudy days; longer cloudy periods require a backup generator. To install an off-grid system, you’ll want to hire a certified Connecticut solar energy contractor. Along with off-grid solar, wind and hybrid energy systems that include batteries and backup generators, there are also grid-tied solar and wind operations. Grid-tied systems are attached to your Westbrook, CT utility company so if you produce more energy than you use, your meter goes down and you build up energy credits. Can you give me any information on Connecticut solar rebate programs? 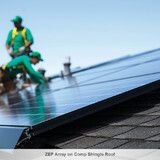 Find solar energy contractors in Westbrook, CT on Houzz. Search the Professionals section for Westbrook, CT solar energy contractors or browse Westbrook, CT photos of completed installations and look for the solar energy contractor’s contact information.